Building owners and landlords have a duty to protect guests and tenants from foreseeable harm. This includes harms due to dangerous conditions on the premises, faulty appliances, such as boilers, hot water heaters, stoves, or electrical systems, and assaults by third parties. If there are statutory violations, e.g., health and safety codes, fire codes, building codes, permit requirements, and so on, notice and requests for repairs from the tenant may not even be necessary to establish liability against the landlord. At Bracamontes & Vlasak, P.C., we have a thriving personal injury and tenant practice, such that we can maximize recovery for our clients by asserting multiple causes of action against all potential defendants. For example, there may be a contractor liable or a construction defect that makes a defendant otherwise “behind the scenes” liable. 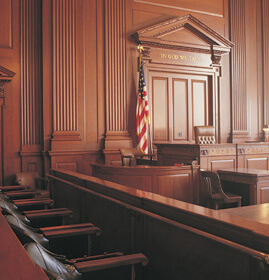 We know how to uncover all defendants and file all relevant claims. There are not many plaintiffs’ firms highly skilled in both tenant and personal injury practice areas. Please view our Firm Results page and Personal Injury and Tenant practice area pages for more information about the great results we have obtained in Bay Area tenant injury lawsuits. Whether you have questions, are unsure whether you have a case, or need to secure representation immediately, please Contact an experienced tenant injury attorney at BV Law today for a free consultation concerning your potential tenant injury lawsuit.